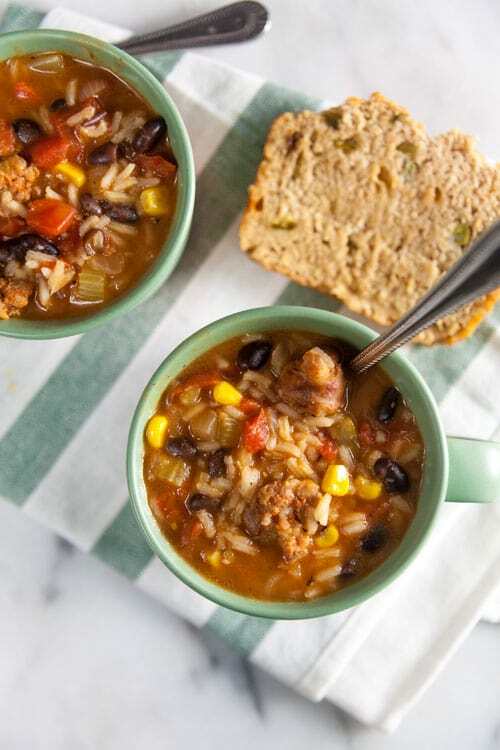 Southwest Chorizo and Rice Soup | Healthy. Delicious. 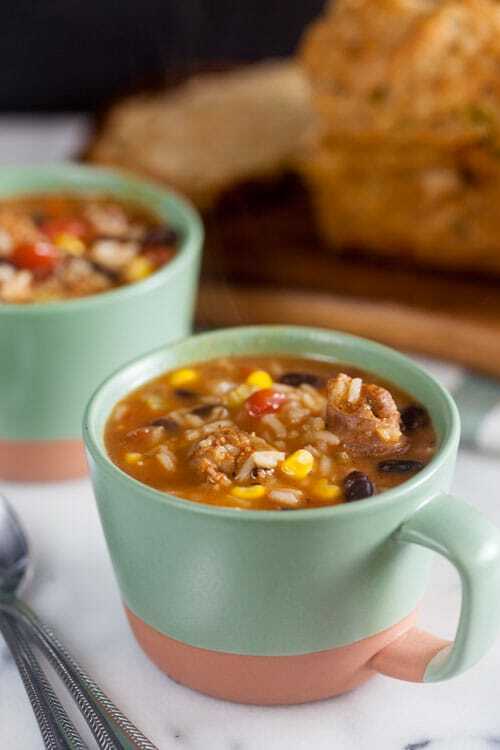 Southwest chorizo and rice soup is a hearty, spicy way to warm you up on a chilly night. Serve it with jalapeno cheddar beer bread for a weeknight meal that hits the spot. It seems as though winter has finally decided to make an appearance this year, and that means one thing – soup! One of the nice of the things about homemade soup is how forgiving it is to make. You can add just about anything to a pot of broth and it will be amazing. 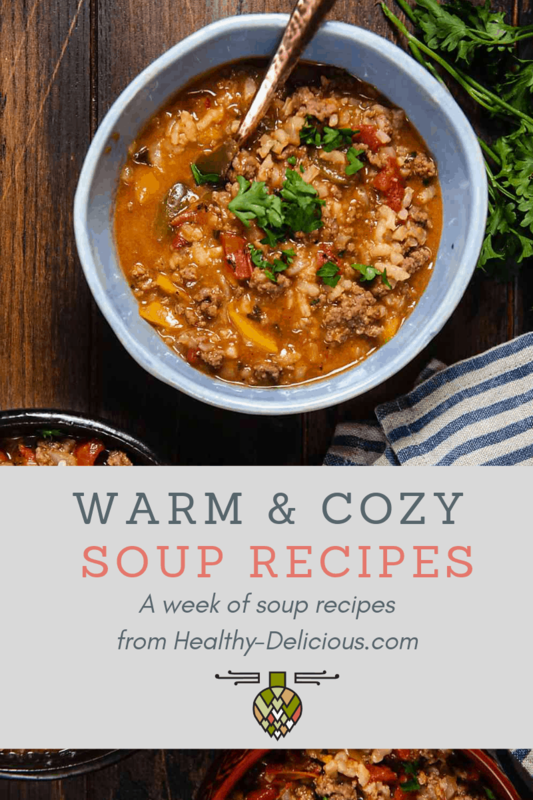 This southwest chorizo and rice soup was a happy accident – I originally planned to make a chorizo and corn chowder (yum, right?) but after I started cooking I realized that my potatoes weren’t good. 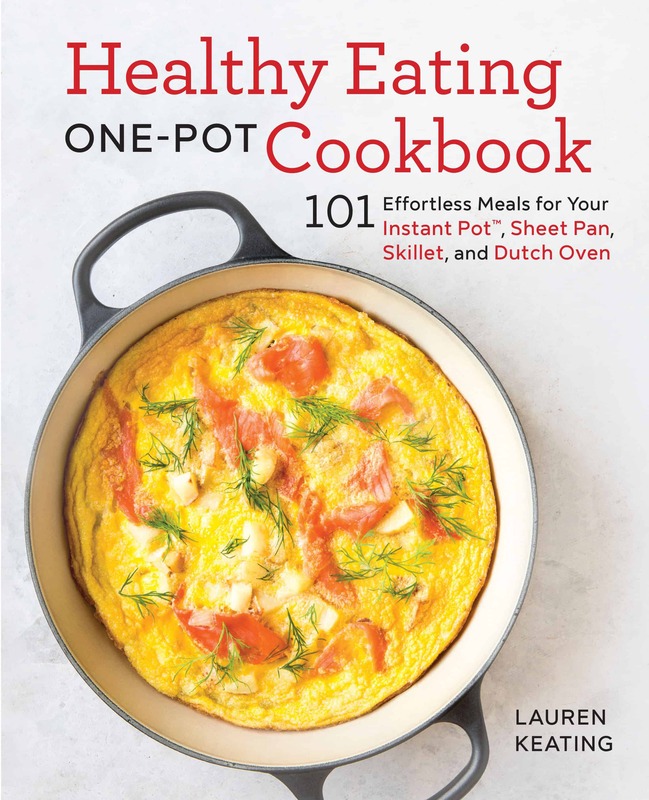 With a few quick modifications I was able to turn it into a completely different – and equally as delicious – meal. I’m kind of obsessed with chorizo – I use it in everything from breakfast sandwiches to stuffed peppers. I buy a pound or two every time Whole Foods runs a sale on sausage (which seems like it’s once a month) and love using it to add flavor to my recipes. If you can’t find chorizo, you can substitute hot Italian sausage in this southwest chorizo soup recipe. The final result will have a slightly different flavor profile, but it will still be delicious. This southwest chorizo soup recipe first appeared on Food Fanatic, where I’m the soup expert. I just love southwest flavors, so good! This soup looks so warm and comforting – perfect for this time of year! Looks so warming and hearty! I would love a bowl of this! I love chorizo, too, and it sounds so perfect in this soup! I will try this soon — it’s cold here in Phoenix and this would hit the spot! Looks like such a comforting bowl of soup! MMM! These flavors are the best ever! What a great looking soup, the ‘southwest’ flavors are some of my favorites! We had our first winter storm last night so this is perfect timing! My husband is a big chorizo fan and the idea of southwest flavours paired in this soup makes me think he will love it even more!